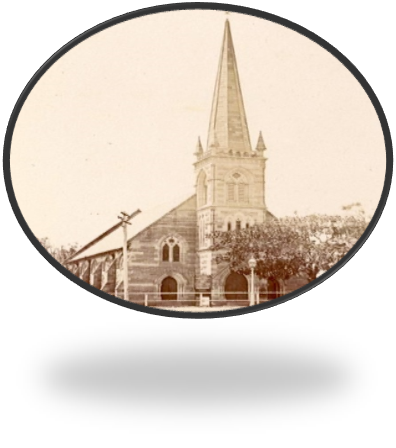 Celebrating the 150th Anniversary of the Laying of the Foundation Stone at St David’s Church, Haberfield. ☞History display in the Ramsay hall. Vince Crow will be conducting a guided walking tour of that part of Haberfield associated with the 19th century Ramsay era. Sites to be visited include the St David’s Church precinct, Yasmar House, the former site of Dobroyde House, and streets developed from the 1880’s. Notes provided & afternoon tea included. Cost $10. Bookings can be made through bookings@stdavids.org.au. The Ramsay family will have tours of the vault, Family Trees, information about the extended Ramsay Family, the Graveyard, and the people buried there. Bring a picnic lunch, or purchase a sausage sandwich between 12 noon – 1pm (gold coin donation).